To investigate the effects of smoking, reported as a risk factor for age related macular degeneration (ARMD), on the vascular endothelial growth factor (VEGF) expression and apoptosis in the retina and choroid of rats. Materials and methods: This experimental study included 38 Sprague-Dawley rats. The rats were randomly assigned into 4 groups. Groups 1 (males) and 2 (females) were exposed to smoke beginning on day 21 after birth, whereas groups 3 (males) and 4 (females) were not exposed to smoke. At the end of the fourth month, the right eyes of all of the rats were enucleated. Immunohistochemical analysis was performed in the enucleated eyes in terms of the VEGF and apoptosis markers, namely caspase-3, Bcl-X, and p53. Comparisons between the groups were performed using the Mann-Whitney U test. Results: The VEGF expression in the retina and choroid increased significantly in rats exposed to smoking. This significant difference did not change between the sexes. There were no significant differences in terms of Bcl-X and p53 expressions between the groups; however, the caspase-3 expression increased significantly in the photoreceptor layer in rats exposed to smoking. Conclusion: Our findings show that smoking significantly increases the VEGF expression in many of the retinal layers and choroid. Smoking also increases caspase-3 expression only in the photoreceptor layer. According to these findings, smoking may be a risk factor for retinal vascular disease such as exudative ARMD, via stimulating the VEGF. Cheng AC, Pang CP, Leung AT, Chua JK, Fan DS, Lam DS. Th e association between cigarette smoking and ocular diseases. Hong Kong Med J 2000; 6: 195-202. Solberg Y, Rosner M, Belkin M. Th e association between cigarette smoking and ocular diseases. Surv Ophthalmol 1998; 42: 535-47. Suner IJ, Espinosa-Heidmann DG, Marin-Castano ME, Hernandez EP, Pereira-Simon S, Cousins SW. Nicotine increases size and severity of experimental choroidal neovascularization. Invest Ophthalmol Vis Sci 2004; 45: 311-7. 4. Vingerling JR, Hofman A, Grobbee DE, de Jong PT. Age-related macular degeneration and smoking. Th e Rotterdam Study. Arch Ophthalmol 1996; 114: 1193-6. Delcourt C, Diaz JL, Ponton-Sanchez A, Papoz L. Smoking and age-related macular degeneration. Th e POLA Study. Arch Ophthalmol 1998; 116: 1031-5. Klein R, Klein BE, Moss SE. Relation of smoking to the incidence of age-related maculopathy. Th e Beaver Dam Eye Study. Am J Epidemiol 1998; 147: 103-10. Clemons TE, Milton RC, Klein R, Seddon JM, Ferris FL. Age- Related Eye Disease Study Research Group. Risk factors for the incidence of Advanced Age-Related Macular Degeneration in the Age-Related Eye Disease Study (AREDS) AREDS report no. 19. Ophthalmology 2005; 112: 533-9. Spilsbury K, Garrett KL, Shen WY, Constable IJ, Rakoczy PE. Overexpression of vascular endothelial growth factor (VEGF) in the retinal pigment epithelium leads to the development of choroidal neovascularization. Am J Pathol 2000; 157: 135-44. Kliff en M, Sharma HS, Mooy CM, Kerkvliet S, de Jong PT. Increased expression of angiogenic growth factors in age- related maculopathy. Br J Ophthalmol 1997; 81: 154-62. Barber AJ, Lieth E, Khin SA, Antonetti DA, Buchanan AG, Gardner TW. Neural apoptosis in the retina during experimental and human diabetes. Early onset and eff ect of insulin. J Clin Invest 1998; 102: 783-91. Hinton DR, He S, Lopez PF. Apoptosis in surgically excised choroidal neovascular membranes in age-related macular degeneration. Arch Ophthalmol 1998; 116: 203-9. Chang CJ, Lai WW, Edward DP, Tso MO. Apoptotic photoreceptor cell death aft er traumatic retinal detachment in humans. Arch Ophthalmol 1995; 113: 880-6. Wilson SE. Stimulus-specifi c and cell type-specifi c cascades: emerging principles relating to control of apoptosis in the eye. Exp Eye Res 1999; 69: 255-66. Podesta F, Romeo G, Liu WH, Krajewski S, Reed JC, Gerhardinger C, Lorenzi M. Bax is increased in the retina of diabetic subjects and is associated with pericyte apoptosis in vivo and in vitro. Am J Pathol 2000; 156: 1025-32. Yoshizawa K, Nambu H, Yang J, Oishi Y, Senzaki H, Shikata N, et al. Mechanisms of photoreceptor cell apoptosis induced by N-methyl-N-nitrosourea in Sprague-Dawley rats. Lab Invest 1999; 79: 1359-67. Kahn HA, Leibowitz HM, Ganley JP, Kini MM, Colton T, Nickerson RS, Dawber TR. Th e Framingham Eye Study. II. Association of ophthalmic pathology with single variables previously measured in the Framingham Heart Study. Am J Epidemiol 1977; 106: 33-41. Smith W, Assink J, Klein R, Mitchell P, Klaver CC, Klein BE, et al. Risk factors for age-related macular degeneration: Pooled fi ndings from three continents. Ophthalmology 2001; 108: 697-704. Khan JC, Th urlby DA, Shahid H, Clayton DG, Yates JR, Bradley M, et al. Smoking and age related macular degeneration: the number of pack years of cigarette smoking is a major determinant of risk for both geographic atrophy and choroidal neovascularisation. Br J Ophthalmol 2006; 90: 75-80. Kwak N, Okamoto N, Wood JM, Campochiaro PA. VEGF is major stimulator in model of choroidal neovascularization. Invest Ophthalmol Vis Sci 2000; 41: 3158-64. Crawford TN, Alfaro DV, Kerrison JB, Jablon EP. Diabetic retinopathy and angiogenesis. Curr Diabetes Rev 2009; 5: 8-13. Eyetech Study Group. Preclinical and phase 1A clinical evaluation of an anti-VEGF pegylated aptamer (EYE001) for the treatment of exudative age-related macular degeneration. Retina 2002; 22: 143-52. Shweiki D, Itin A, Soff er D, Keshet E. Vascular endothelial growth factor induced by hypoxia may mediate hypoxia- initiated angiogenesis. Nature 1992; 359: 843-5. Shima DT, Adamis AP, Ferrara N, Yeo KT, Yeo TK, Allende R et al. Hypoxic induction of endothelial cell growth factors in retinal cells: identifi cation and characterization of vascular endothelial growth factor (VEGF) as the mitogen. Mol Med 1995; 1: 182-93. Ogston D, Bennett NB, Ogston CM. Th e infl uence of cigarette smoking on the plasma fi brinogen concentration. Atherosclerosis 1970; 11: 349-52. Hawkins RI. Smoking, platelets and thrombosis. Nature 1972; 236: 450-2. Craig WY, Palomaki GE, Haddow JE. Cigarette smoking and serum lipid and lipoprotein concentrations: an analysis of published data. BMJ 1989; 298: 784-8. Dunaief JL, Dentchev T, Ying GS, Milam AH. Th e role of apoptosis in age-related macular degeneration. Arch Ophthalmol 2002; 120: 1435-42. ISNAD DÜNDAR, Sema , ÖZCURA, Fatih , METEOĞLU, İbrahim , KARA, Mehmet Erkut . "Effects of long-term passive smoking on the vascular endothelial growth factor and apoptosis marker expression in the retina and choroid: an experimental study". 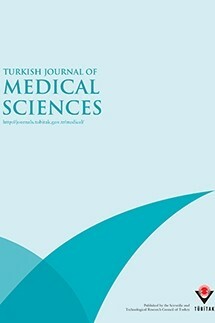 Turkish Journal of Medical Sciences 42 / 3 (March 2012): 377-383.